Click on the video link for a personal tour of this beautifully kept character home on a prime West Kildonan Street. 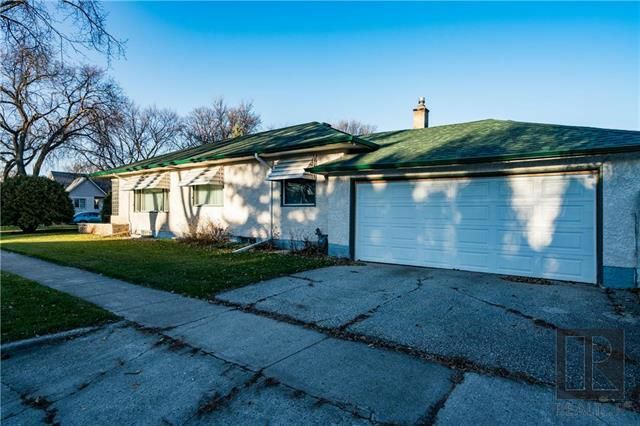 Owner has meticulously maintained this 1340 sq ft with lots of character including rich wood trims, some hardwood floors, cove ceiling with crown moldings and retro kitchen. All the rooms are spacious and in excellent condition. Downstairs there is a large classic style rec room with bar and pool table which is included. Many upgrades including updated heating and cooling system, and newer shingles. There is an insulated double garage plus a 3 season sun room at the back of the home. Large corner lot, convenient location, walking distance to stores, schools, and public transportation. This home shows beautifully and is awaiting your personal touches!